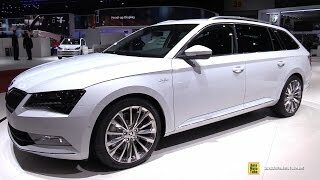 Skoda Superb Combi gets an exclusive design package Laurin & Klement. The design package gives the Superb Combi an individual touch and is available for the sedan and the station wagon body trims. Design package provides door sills (adorned with the Laurin & Klement logo) made of stainless steel which greet the passengers while stepping in the Skoda. Also, exclusive for the package is the chromium-plated front grille, the Laurin & Klement plaque at the rear of the vehicle and the 18-inch light alloy wheels "Sirius". 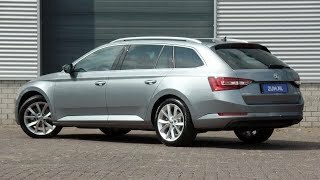 At this year’s Autosalon Brno, the Czech automobile manufacturer ŠKODA for the first time exhibits the model Superb Combi with the exclusive design package Laurin & Klement. Today, the vehicle was presented within the framework of a press conference at the fair, impressing with high-quality equipment and fine design elements. 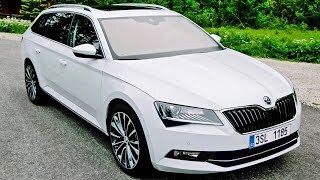 Another highlight of the company’s presence at the fair is the design study VisionD, with which ŠKODA hints at the architecture of future models. The special edition model Fabia Monte Carlo emphasizes the sporty character of the brand, paying homage to successes in motor sports and the 110-year old motor sports tradition of the manufacturer. The design package Laurin & Klement gives the Superb a particularly individual touch. The design package is available for the five-door sedan and the station wagon. With a chromium-plated front grille and the Laurin & Klement plaque at the rear of the vehicle, the model conveys its individual equipment upon first sight. Exclusive use is made of the 18-inch light alloy wheels “Sirius”. The interior equipment “Executive”, which is offered exclusively in combination with the design package, is matched with other elements and color-coordinated with the new metallic color “Magnetic Brown”. Available as options are the decorative trims in the design “Piano” or in a wood decor. Celebrating its Czech premiere in Brno, the design concept VisionD allows for a first look at the design of future vehicles developed by ŠKODA. The concept impresses with clear and precise styling, created with the utmost care and love for detail. The new logo, which can be seen on the study and which will adorn the new models of the brand beginning in 2012, was structured more clearly and given a high-value look. The front end with its sharper logo, redesigned front grille, as well as the four headlights arranged in clover-leaf fashion express the independent design of the vehicle even more effectively. The rear end of the concept car receives its distinctive character primarily through the new logo as well as the even more clearly developed C-form of the rear lights.